But You Have No Idea What Shade To Pick???? 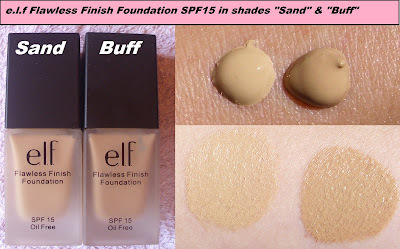 Let's say I want to get the "NYX HD Studio Photogenic Foundation"
You can see how the Elf "Sand" and NYX "Sand Beige" swatches are similar. But what if you have never owned foundation and trying samples in stores are just no good? Its hard to find a foundation of my skin tone and for my skin type. I am a mid pale-yellow coloured asian but I have naturally oily skin and it is also easy for my skin to break out. Could you give me some advice? Thanks hun and thanks for the pics!